each client’s translation needs are analyzed and prioritized. Clients are an active part of the project, and their objectives inspire our solutions. 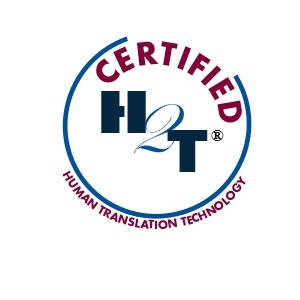 The H2T® Method offers a high level of flexibility and transparency. Each of its sub-tasks is conceived as a separate entity and treated as though it were a mini-project in its own right. The project’s component parts are planned out either simultaneously or sequentially; some of them require client approval before proceeding to the next step. The client’s go-aheads coincide with the project’s milestones. The H2T® Method is scalable. Its structure, broken down into mini-projects, allows for greater adaptability should translation needs change with the project already underway. Since every project is different, our teams provides the maximum flexibility in adapting the H2T® Method to your specific needs. The H2T® Method requires the respect of established deadlines. Since it is essential that translations be completed by the date decided on by the client, a preliminary project analysis is undertaken to determine potential problems. From the very beginning, all necessary organizational measures are taken to avoid unforeseen difficulties. For example: the use of an analogous back-up translator, or the scheduling of deliveries 2 days prior to the actual deadline.